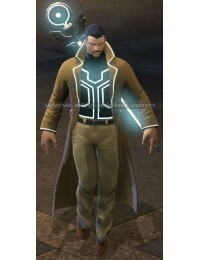 Have you ever felt like a superhero or fighter while playing the video game? 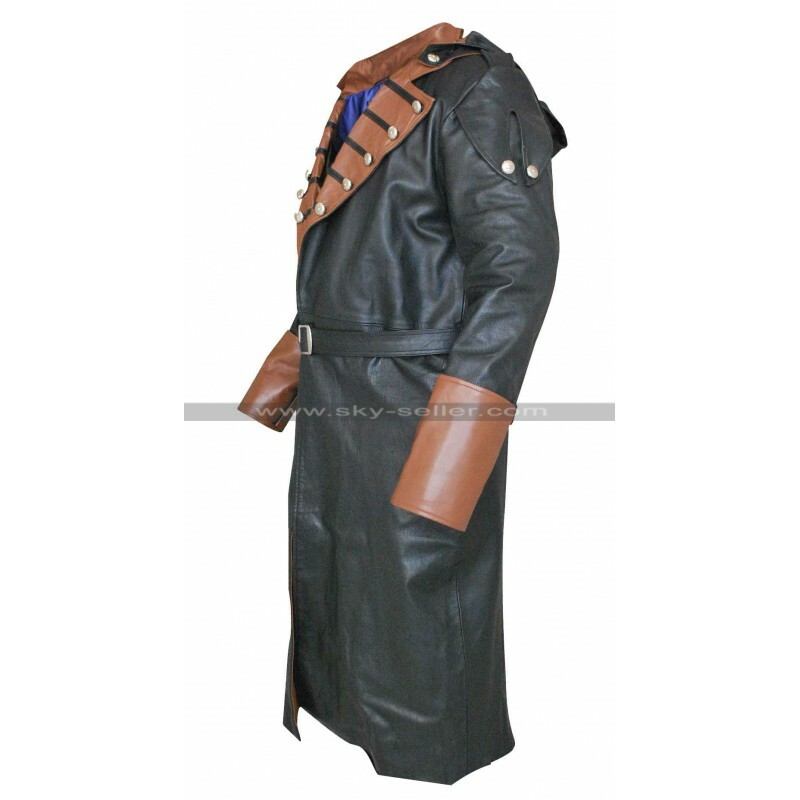 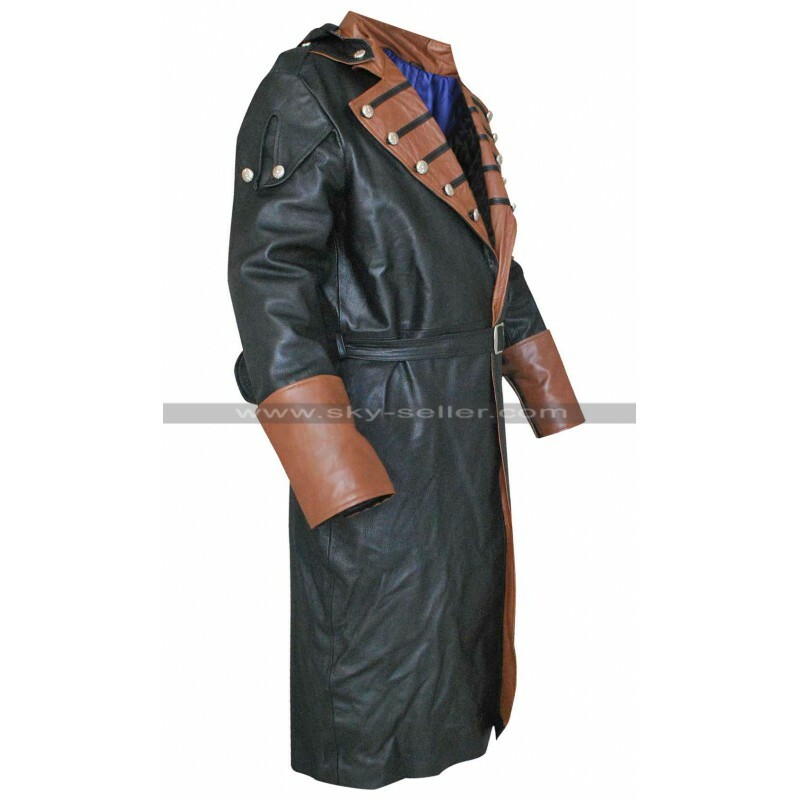 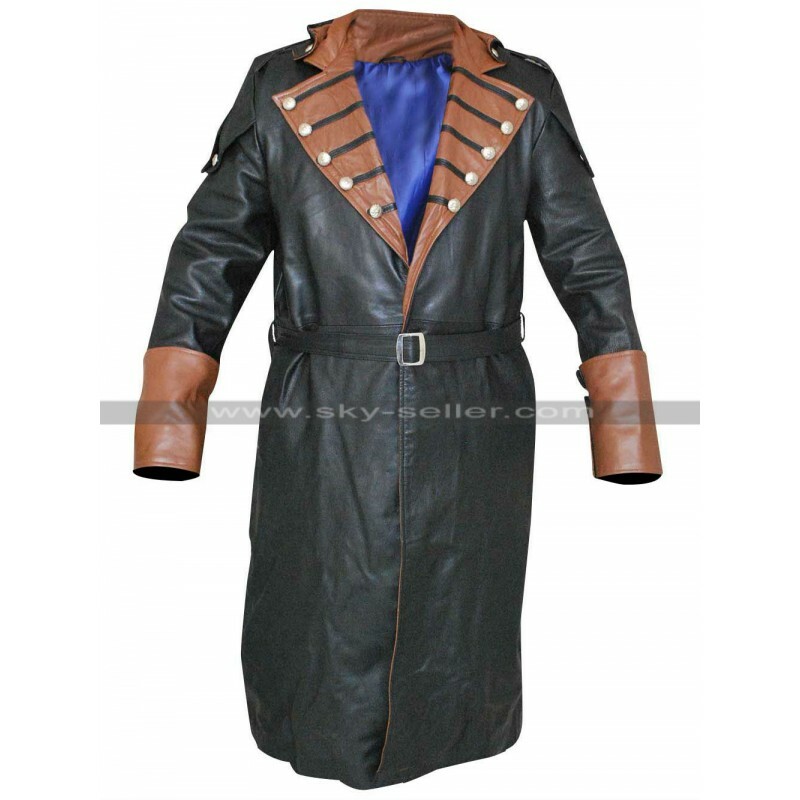 You can have the exact replica of Arno Dorian trench coat from our online store right now. 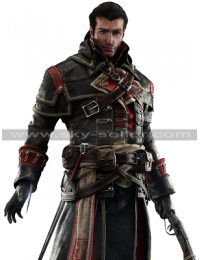 Assassin’s Creed Unity action and adventure video game has the main character Arno Dorian and his costume exactly depicts for which it is meant for. 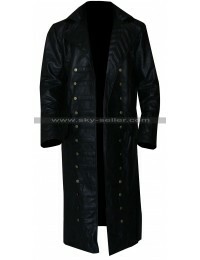 This trench coat has the big wide collars with buttons placed at lapel collar to make it decorous. 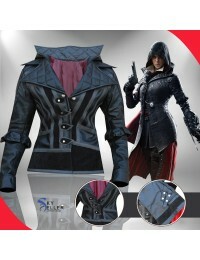 Padded shoulder features enhance its heroic and discerning looks. 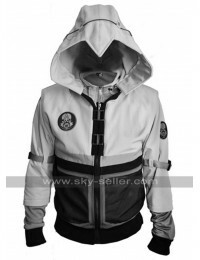 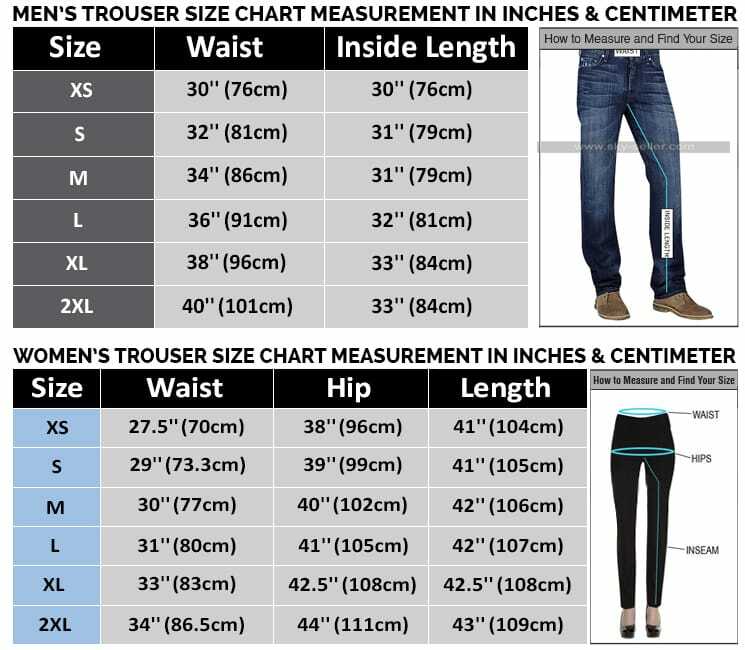 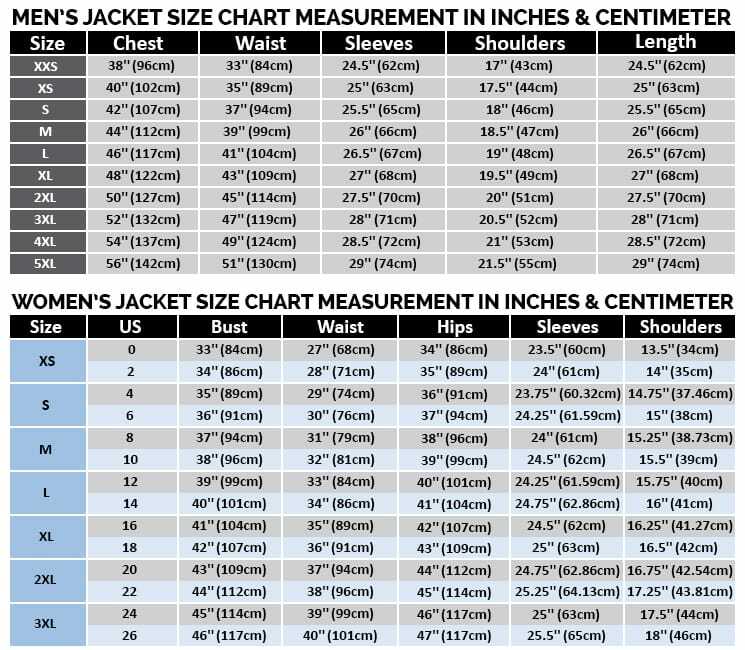 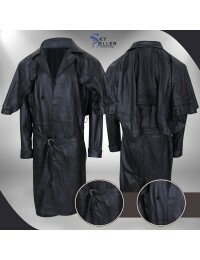 Jacket has the full sleeves with folded cuffs for the elegant appearance. 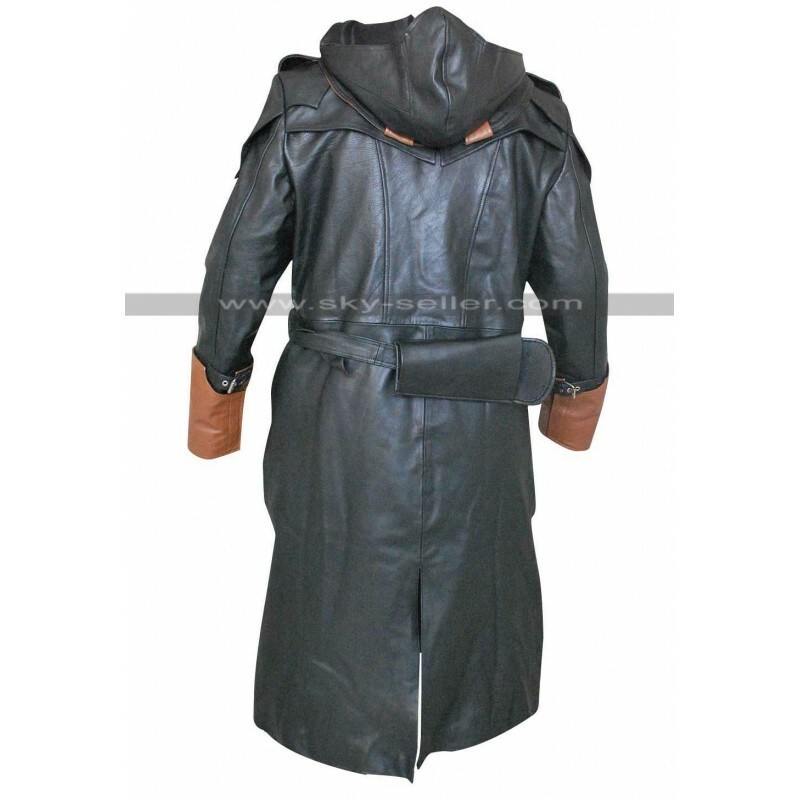 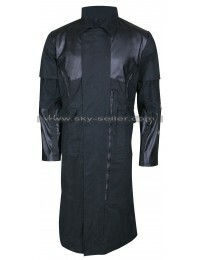 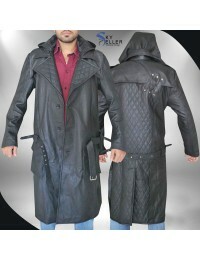 Black trench coat comes with hood which covers your head completely. 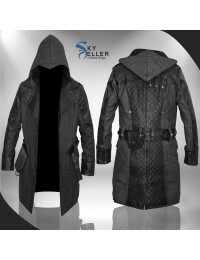 Coat has the wide and open bottom to increase its aggression.